Classic elegance for the modern man by Swiss watchmaker Roamer's Swiss Matic Swinging Heart collection. 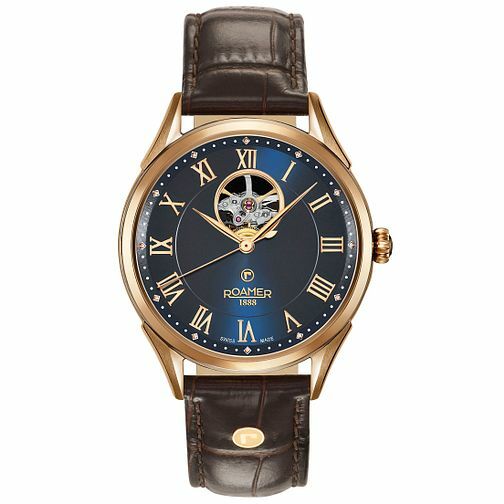 This smart brown leather strap is styled with a rose gold plated case, and blue skeleton dial with roman numerals. Powered by automatic movement and water resistant up to 100 meters.